Kenya Wild Safari - What Kind Of Safaris Are Possible? As I wrote in my introduction page about Kenya wild safaris, besides standard camping or lodge safaris there are also many types of special safaris on offer. 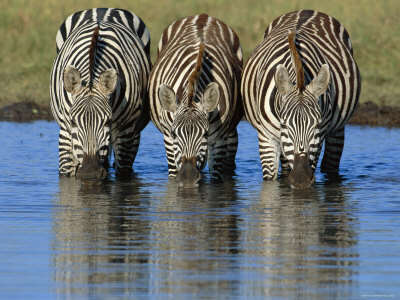 This page lists some possibilities for special Kenya wild safaris. These aren’t really full safari tours, as they typically last a few hours. But exciting they are. Hot air balloon safaris are held in various parks, including Masai Mara National Reserve, and they leave very early in the morning. During the first hours after sunrise (which is prime wildlife viewing time) you’ll fly over the savannah, where you’ll have an terrific view over the animals. After landing there’s breakfast on the post, often including champagne. They cost around $400. In most places you’re not allowed to leave your vehicle during a Kenya wild safari. But in some parks, walking safaris are possible. You can hire a guide to lead you everywhere, and at night you can sleep in the park in a tent. An interesting company offering walking safaris is Ontdek Kenya run by a Belgian man and his Kenyan wife. Because of the varied landscape and habitats, Kenya has a huge number of bird species. Since so much of the coutry is open grassland or bush the birds are also relatively easy to see. Many bird fanatics travel to Kenya just for a bird safari. On some tours, it’s possible to view no less than 500-600 different bird species in just two weeks. Many Kenyan travel companies offer some kind of gorilla tracking safari, but actually these tours will take you across the border to neighboring Uganda or Rwanda, as there are no gorillas present in Kenya. Gorillas are impressive animals who can weigh up to 175 kilo. It’s quite an experience to spot them in the wild. It’s also possible to do your safari on the back of a horse. Horses can access terrain where no 4WD can go – through mountains and forest, across vast open savannah, into rivers and water-holes and up huge escarpments. The sense of space and freedom can be simply overwhelming. However, as you’ll be riding for many hours a day, you need to have enough experience with horse riding to do this. 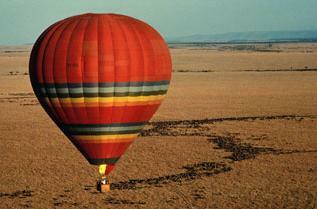 Increasingly popular are honeymoon safaris. With it’s 500 kilometers of white sand beaches, and romantic places like the island of Lamu, Kenya has some great places for a romantic honeymoon. I personally especially enjoyed Tiwi Beach, near Mombasa, which is much more quiet than nearby, well-known Diani Beach. How to pick the best company for a safari tour in Kenya? What to bring on an African safari in Kenya? What’s the best season for an African safari in Kenya?